Yesterday a good friend of mine celebrated her baby shower. She and her husband have been TTC since before we had Reese and now they are having a little boy in October! I am more than thrilled for them. As I sat there holding my little angel in my arms, watching the proud mommy and daddy to be enjoy their time, I couldn't help but think back to my own baby showers. I know this one is going to sound a little like common sense but this the first and most important rule of baby shower attendance. 99.9999% of invitations are going to ask you to RSVP. Do it. Immediately. The minute you decide you can attend is the moment you should RSVP. This allows the host to properly plan the shower. This also takes the heat off the mother-to-be who most likely is the only person who knows all the guests and so will be asked to contact each one if they do not RSVP. Like she doesn't have enough on her plate making reed diffusers and cleaning her house from top to bottom. And then top to bottom again. I have been to a few baby showers where the invitation suggest "in lieu of cards please write a note to Baby in your favorite book to help build their library" or "please bring a pack of diapers to enter the raffle". I think these are wonderful ideas and I think that you should participate in them if you are asked. Do not give them a card instead of a book. Do not get left out of the raffle. Do participate! This one is super controversial and also non-negotiable. I don't care who you are, what you think you know, how many children you've had, if everyone loves that special thing you do or fill in the blank. Stick to the registry. Heard about a new toy that everyone is getting? Stick to the registry. Think your bathtub is better than the bathtub they picked out? Stick to the registry. Gave a gift to a friend who just looooooved it? Stick to the registry. Mom and Dad have probably been over that registry a million times and if they don't get everything they will have to go buy the things off the registry themselves. Do you know what I did with stuff that wasn't on my registry? I returned it and used the money to buy things off my registry. Or I regifted it. *GASP* The only person who is allowed to break this rule is grandma or great aunt so-and-so who knits everyone in the family a baby blanket. She, of course, should continue with the family tradition because that is an unspoken registry item. Also, make sure that you inform the store that this gift is off a registry. Yesterday, my friend received two bathtubs. She'll either have to return one or that will be one clean baby. Now, this is not to say that you can't also get them things off the registry. Who can resist those adorable little onesies? But if you are going to give in and get them that cute little dog doing a pirouette, make sure that is in addition to something off the registry. Even if that something is just wash cloths, it is wash cloths they will use and they picked out. I will say, some of my favorite gifts were things that were not on my registry but they were in addition to something off my registry or throwing me my shower. And the people who bought me/ made Reese these gifts knew they knew my taste and knew I would love them. My friend who got me both the necklace I'm wearing and made that hat had seen me compliment her hats she had made for two of our other friends. The necklace is probably my favorite gift ever and was a total surprise and totally unnecessary since she threw me my shower, but it was more than appreciated. Always include a gift receipt and never remove the tags. You can either put them in the bag with the gifts or tape it to the gift, whatever you'd like. Just make sure you give it to the mom. In the case of my friend with the two bathtubs, she will now be able to return one of them for exactly what was paid and get other things she needs instead. In my case, I got many cute outfits that were newborn sized. After my shower, a friend gave me an entire wardrobe of newborn clothes (Thanks again!) so I returned many of the newborn clothes I had received as gifts and got the same outfit in a bigger size. There were also some items I got that were seasonally inappropriate based on how Reese grew and what the weather is like here. I got to exchange most of them for outfits that are more seasonally appropriate. All but one, which I could not for the life of me figure out where it was from. That outfit will, I'm sure, be regifted. On top of a registry item. Hubby and I were truly amazed at the outpouring of love from our friends and family for Reese. Everyone got her such wonderful gifts and we wanted to thank every one of them. Make sure that someone at your shower is recording the name of the gift giver and what gifts they got you. Make sure in your thank you note (which should be sent out within the next two weeks) you thank them for each gift. My gifts were recorded in a pregnancy journal I had so Reese will be able to see it when she is older. At my co-ed shower, the son of the hostess lost his first tooth, so we recorded that too! Play them, they are fun. We played all the girly games at my all-girl shower and did a blindfolded baby changing relay at my co-ed shower. They were both so fun! My shower's were both really wonderful and both totally different. Hubby didn't really want any cutesy baby things at the shower, so the co-ed one had toss the baby games and other awesome things like that. However, my all girl shower had a ton of baby things including these adorable little homemade cupcakes. I loved them. I mean, it's a baby shower after all. I felt a little awkward doing this since I knew most of my friends and family from back home weren't going to be able to make it all the way out here for my shower. But I wanted them to know I was thinking about them. Many of our relatives sent gifts and one of my friends surprised me by just showing up! And as a special treat, my mom got to skype via the iphone so she got to "attend" the shower from 3000 miles away. It was wonderful for both her and I.
I had three friends throw my two showers. I was more than grateful for all the work they put in to let me celebrate Reese. I wanted to make sure they knew how much I appreciated it. I brought each of my friends a gift certificate for a pedicure and a hand written thank you note for throwing me the shower to the shower. I think it might not be expected from your friends, but its nice to let them pamper themselves after all the hard work they put in for you. I had such a wonderful time at my showers and was so thankful, a pedicure and a note were the least I could do. What are some things you consider to be baby shower etiquette? This is all very true! 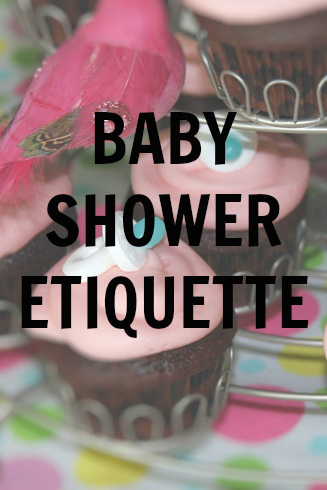 Baby showers can be such silly and frustrating events if this etiquette isn't followed! I have often been thinking back to my baby showers also. I had two showers... one with my friends and family where I live, and another with the ladies in my husband's family. They were both lovely... nice food, nice decorations, etc. But both had one big thing in common. Neither of them were particularly about ME or the baby! Besides the time it took to open my lovely gifts, the showers were more of a ladies' luncheon than an event in celebration of the expansion of my beautiful family. A lot of the guests were catching up with one another, while I stood awkwardly to the side, often wondering when someone might decide to include me. Especially since a lot of the ladies there were people I didn't know that well (in-laws) or hadn't seen in a while, it would have been nice if we could have talked about my birth plans, taken a moment to give me a prayer or blessing for my baby and I, or at least conversate with ME more! 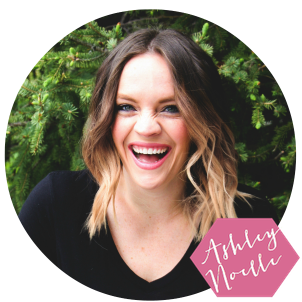 After my experiences at my showers, I could throw one awesome shower if one of my friends decides to have a baby, and it will most certainly be MOMMY-TO-BE-CENTRIC! Don't assume that because its a second baby or especially that the second baby is the same gender, they don't still need things. My first daughter had 3 showers thrown for her... her scrapbook has 3 beautiful pages about these celebrations of her! Why shouldn't my second daughter get a shower? We threw out bottles, burp cloths, washcloths... all the things that just get GROSS when you use them over and over on a baby. Our girls are born in different seasons and we live across the country so none of our clothes really carry over and we need tons of stuff. I just found out today a sweet friend and my sister are throwing us a shower which is so touching but just wanted to put my two cents in that even if you dont throw a huge "shower" every baby deserves at least a "sprinkle" to celebrate them and the unique blessing they are! I always buy off the registry, but I think it's wonderful and generous that people want to get me/my baby anything, so I don't get upset if it's not "off the registry." They took the time and love to buy/make something, and that generosity of spirit means millions more to me than the logistics of a registry. PS - If there is something you desperately need, it's probably wise to buy it yourself so you definitely have it. all good advice and you touched on the out of town guest issue but i have a different problem, the mommy to be doesn't want to travel 2 hours back home where her husbands entire family is, and thinks 24 of us should all travel 4 hours in one day to throw the shower at her house. Maybe i am just old school but i think the person throwing the shower is basically doing a favor for the couple and should not be expected to bear the burden of the additional time and expense to travel to the couple. Please note, there are no medical reasons for bride not to travel she just prefers the mountain come to Mohammad. Am i out of touch with new way of doing things or is she out of line?